As I went through the closet, I found several Chanel East/West Flap in hiding. These lovelies are from 2005 and 2006 — some of the best years of Chanel quality. Such a great bag but its shoulder strap is too short or it’s better for a shorter petite person. 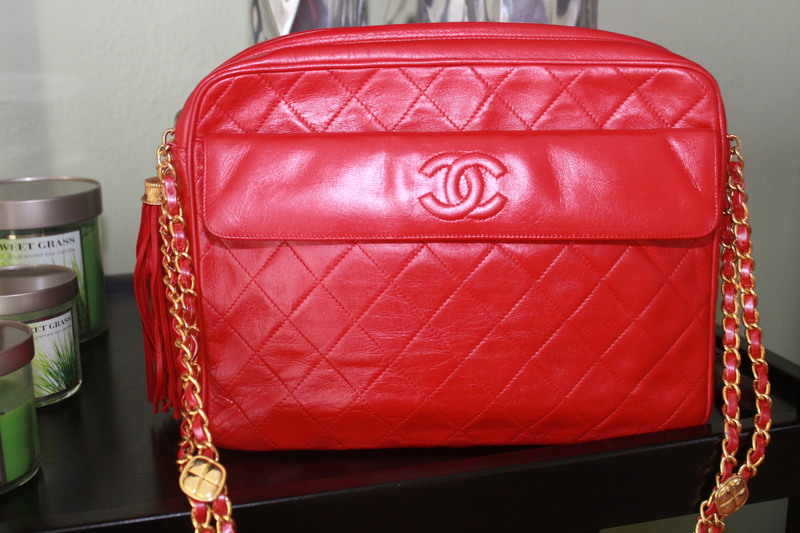 I doubt if this is why Chanel discontinued the East/West Flap but I’m curious as to why it’s discontinued. ah, another Chanel GST, Grand Shopping Tote, that brightens up my handbag closet. This Chanel is a mere 5 years old, carried 2 times. As much as the bag, I seldom carry white bags. As much as I’d like to be a woman who lunches while carrying her Chanel GST effortlessly on her shoulder, I’m not. I’m a woman who wears bright colors with jeans (jeans very bad for white leather!) and who casually sets my purse on the floor if there’s no place to set it. Yes, yes, I know one should never set her purse on the floor but I’m practical — I’m not going to eat with a purse slung over my shoulder or in my lap. I did invest in a purse hook — several, matter-of-fact. After my Chanel GST fell to the floor a few times, the purse hook went missing. Still, I seldom carry this bag. I hate the idea that will get stained blue from rubbing against my jeans or dirty from being placed anywhere. Being a Chanel addict is quite tiring! 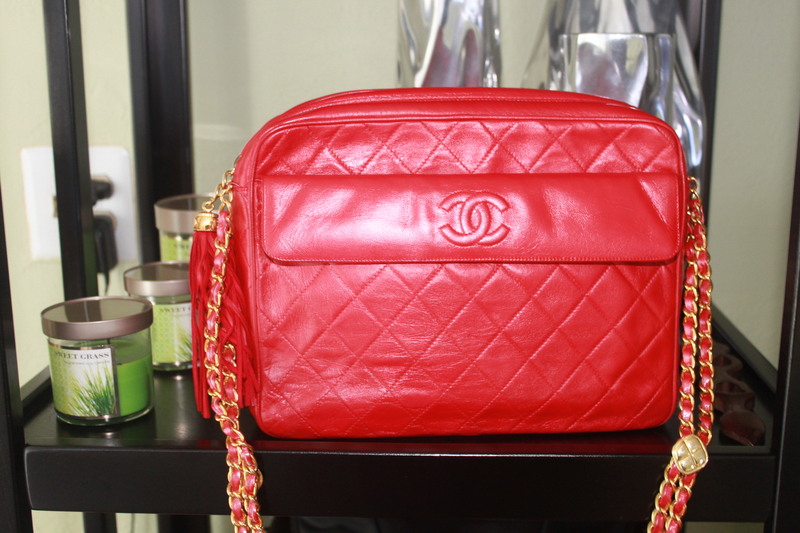 Over the next few weeks, I’ll share more of my collection with you, specifically Chanel GST, as we head into fall. Maybe someone will convince me to “re-home” them? Do you carry white handbags? 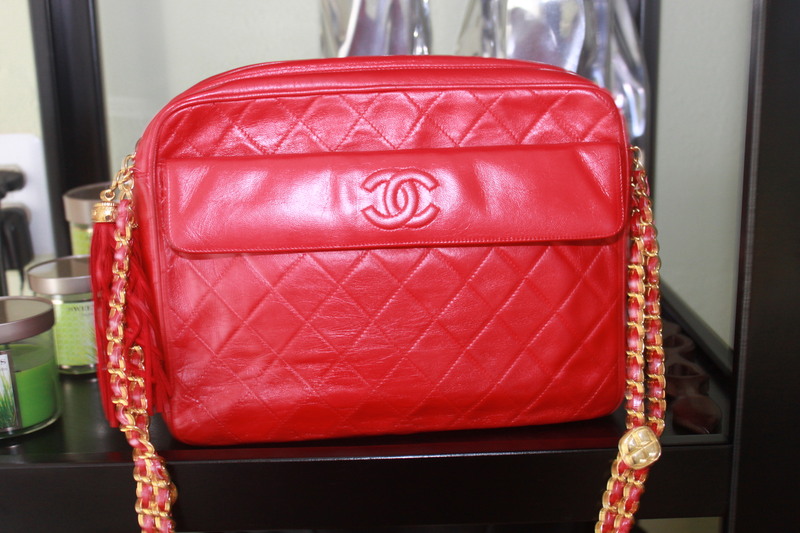 Another adorable vintage Chanel handbag! This time in red & white tweed with red lambskin trim and matte silver hardware. 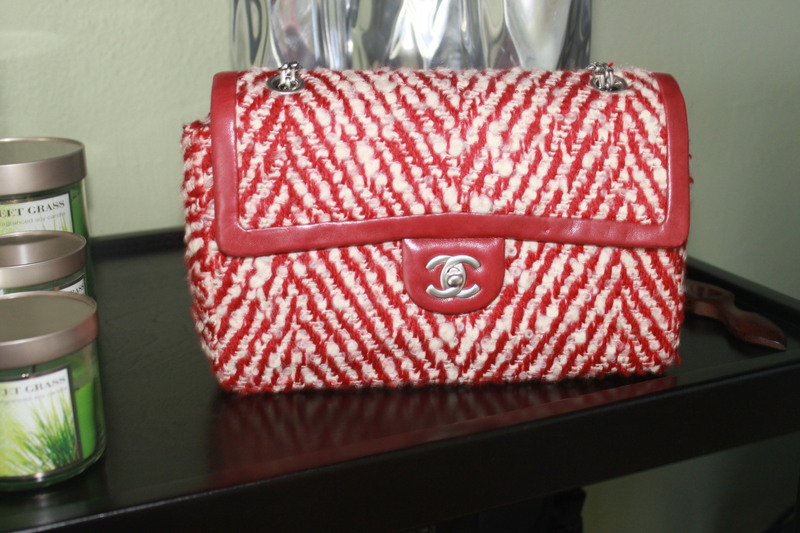 In my collection of Chanel handbags, I have a soft spot for GST, especially patent. Gorgeous! This is not vintage and, to be honest, I’ve never carried it. I adore it but can’t bring myself to wear it.